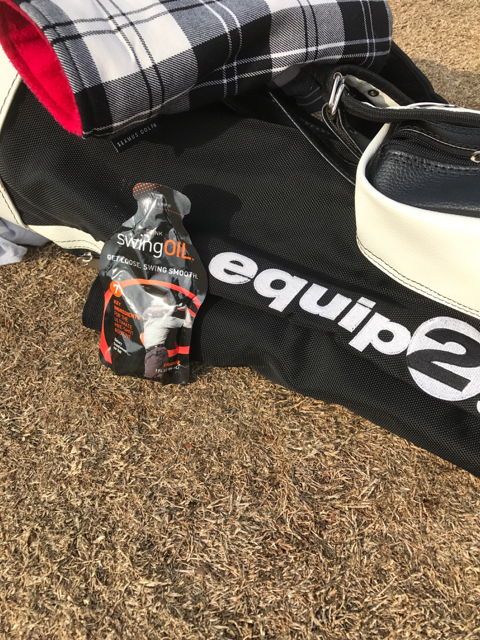 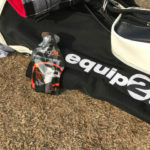 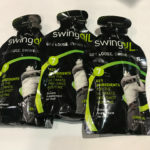 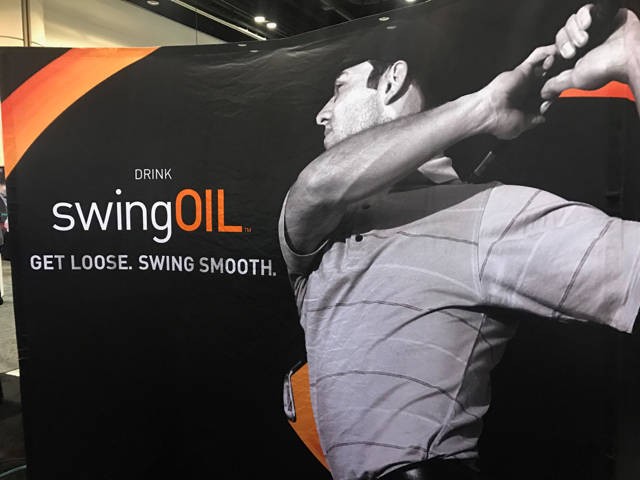 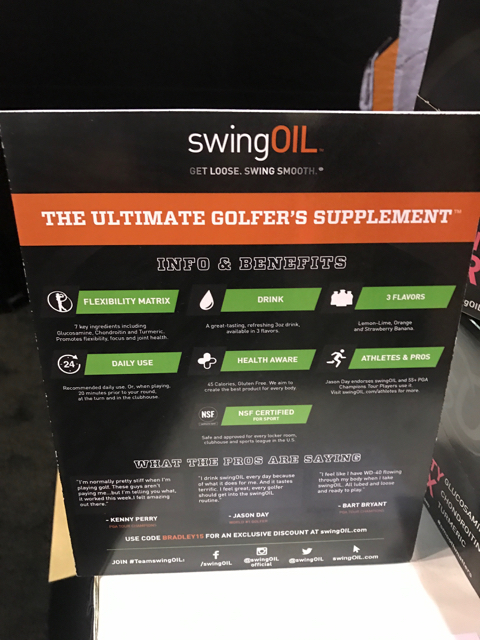 swingOil is a new drink billed as the Ultimate Golfer’s Supplement made by golfer’s for golfers with several key ingredients to help support and promote flexibility & focus. 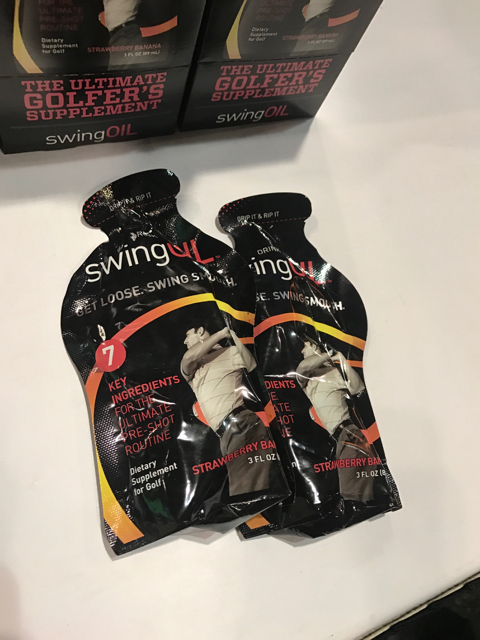 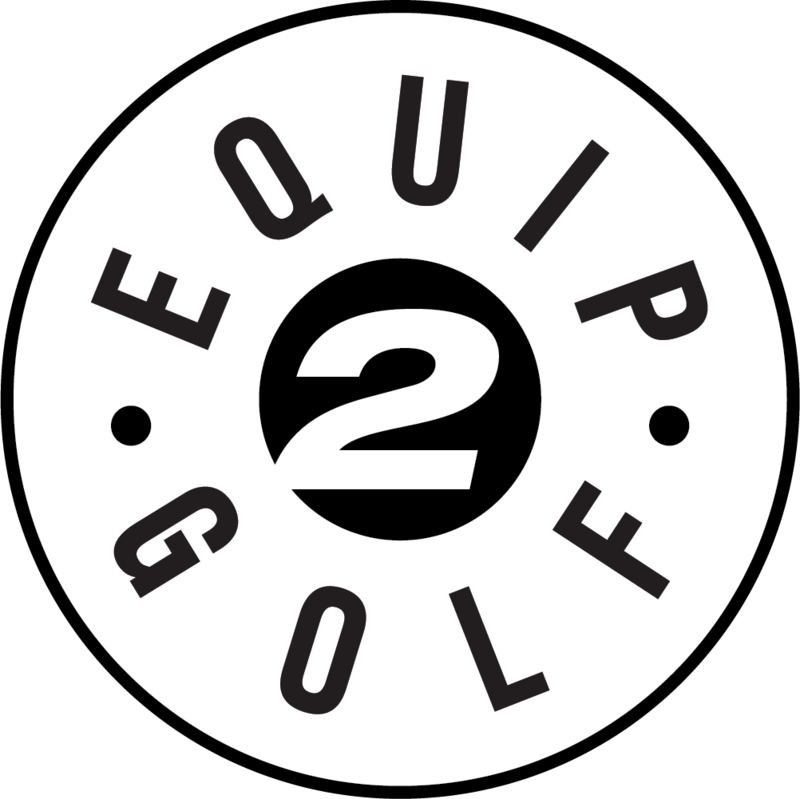 The product is NSF certified and can be used before your round, at the turn or after your round. 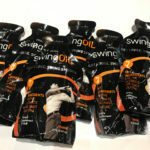 SwingOil contains 7 key ingredients … Glucosamine and Chondroitin intend to provide proper lubrication to your body; Tumeric reduces body inflammation; Taurine is a low-cal, sugar-free pick-me-up; Citrulline Malate assists in body recovery; Ginseng Extract provides improved focus; and Rhodiola Rosea Extract reduced stress. 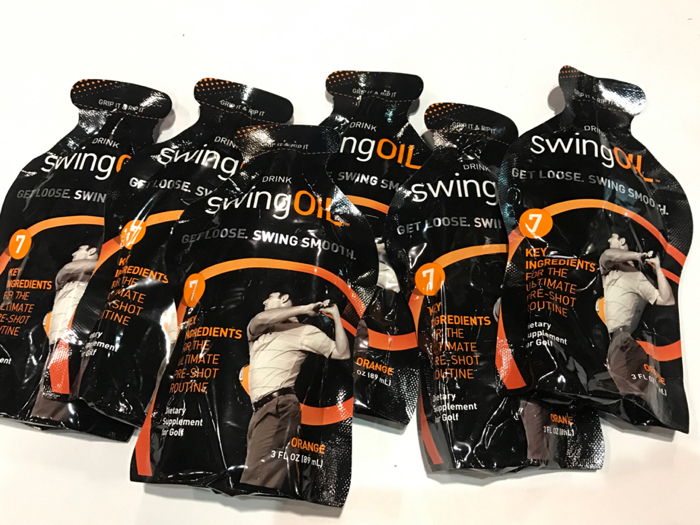 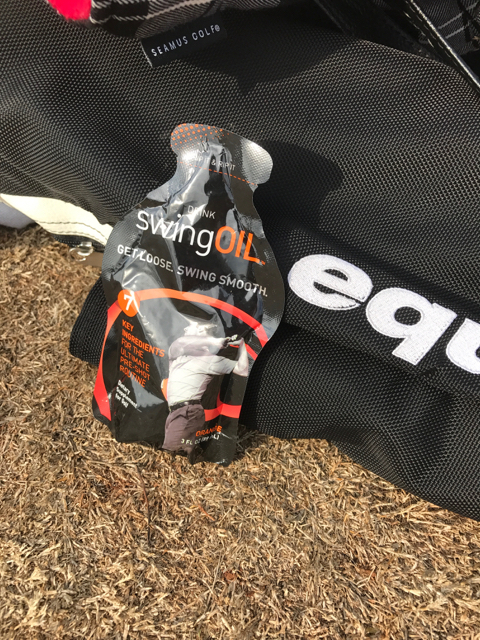 We recently used swingOil on the course and found not only does it tastes great but it was very useful during the round to provide mental focus and made our joints hurt less. 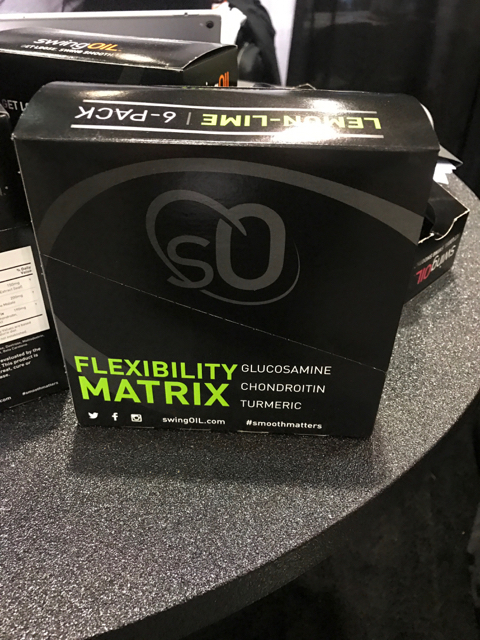 Whether it actually works or it is the placebo effect – we recommend trying it yourself and getting the 4 pack Multi-Flavor trial offer for $9.95 to see for yourself. 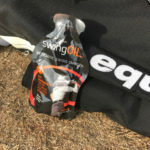 SwingOIL is available in orange, lemon-lime, and strawberry-banana flavors. 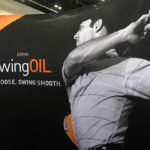 Learn more at swingOIL.com. 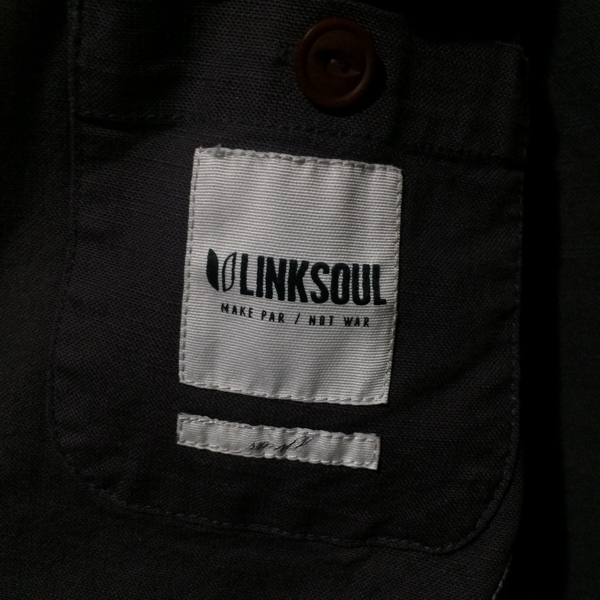 Introducing the Linen Textured Blazer from Linksoul. This new blazer features garment dyed linen for a causal look and style. 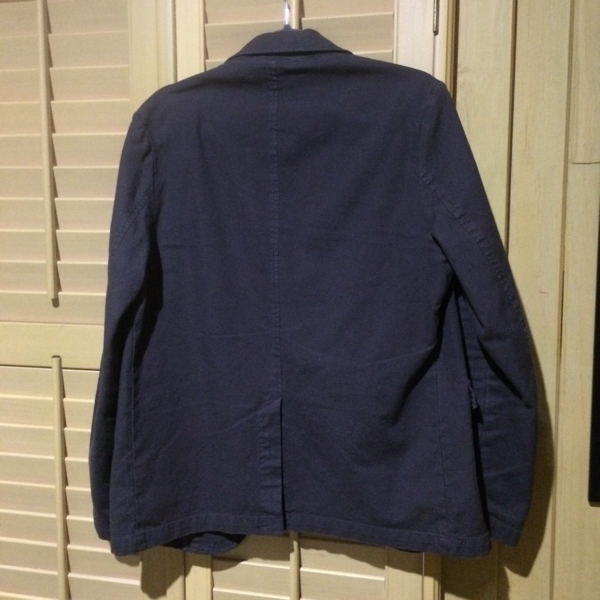 Available in 3 colors: Dark Navy, Light Toast, and Petrol (shown) priced at $190 each. 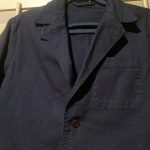 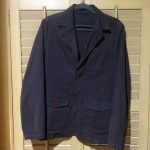 This blazer is comfortable and goes as well with a pair of jeans as it does your favorite pair chinos or khakis. 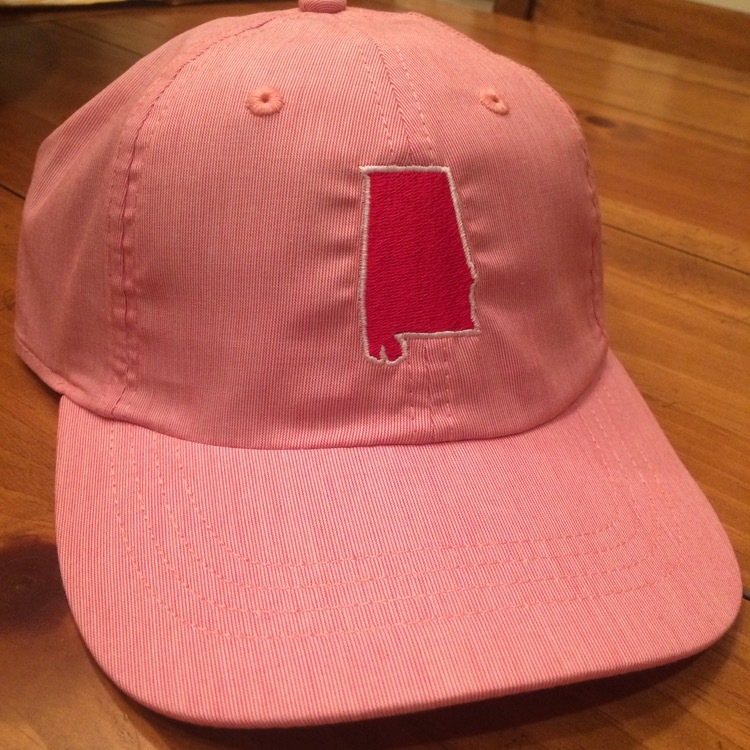 A perfect addition to your fall wardrobe that can also be worn year round. 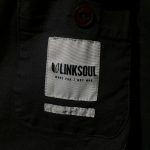 Learn more at Linksoul.com. 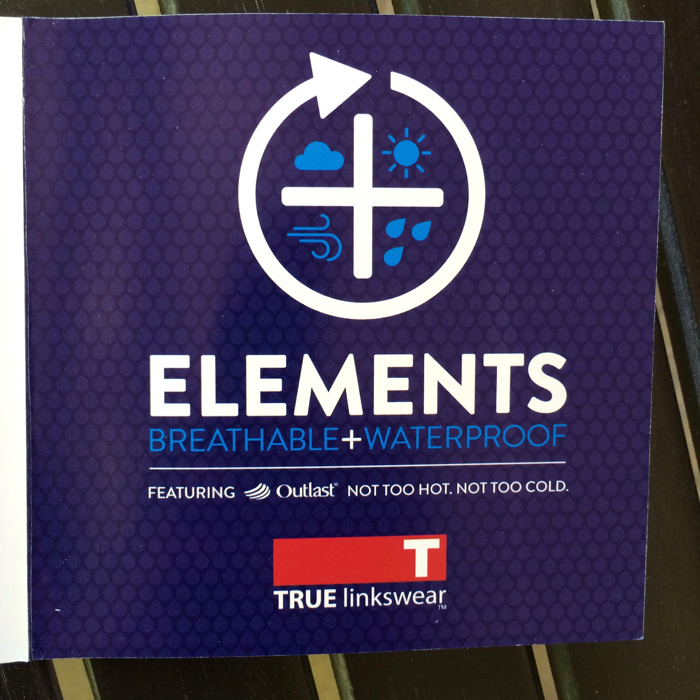 True Linkswear introduces the True Elements Hybrid for 2016. 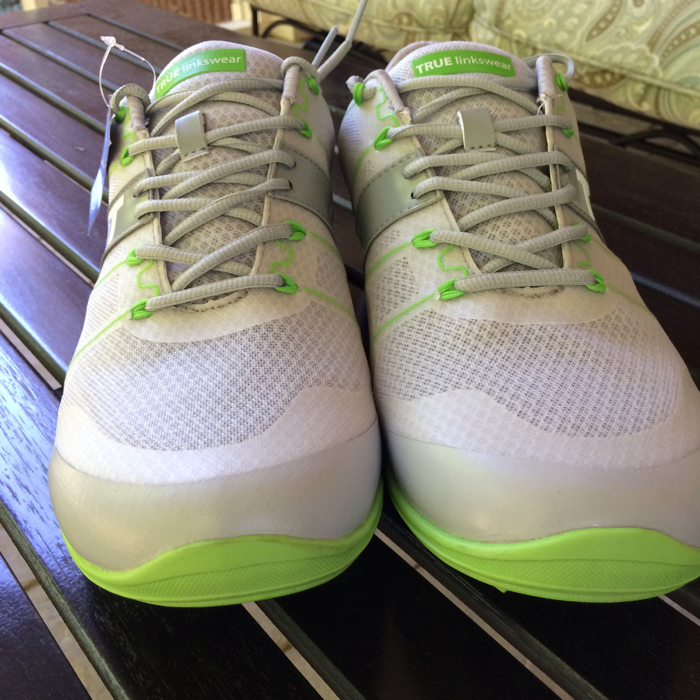 It is called the hybrid because it has features that make the shoe breathable and waterproof. 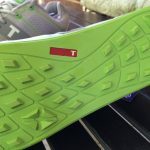 This is the challenge all shoe companies face – how to make a shoe that has these features and is also comfortable. 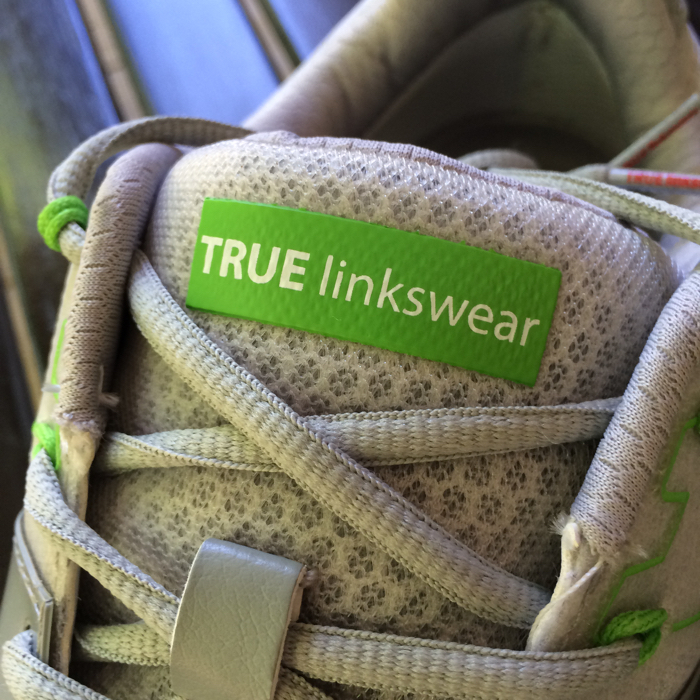 We think that True Linkswear has done just that. We have been big fans and supporters of the company since day one with its comfortable design featuring a large toe box and minimal heel. We also liked the fact that they require no break-in time … right out of the box and onto the course. 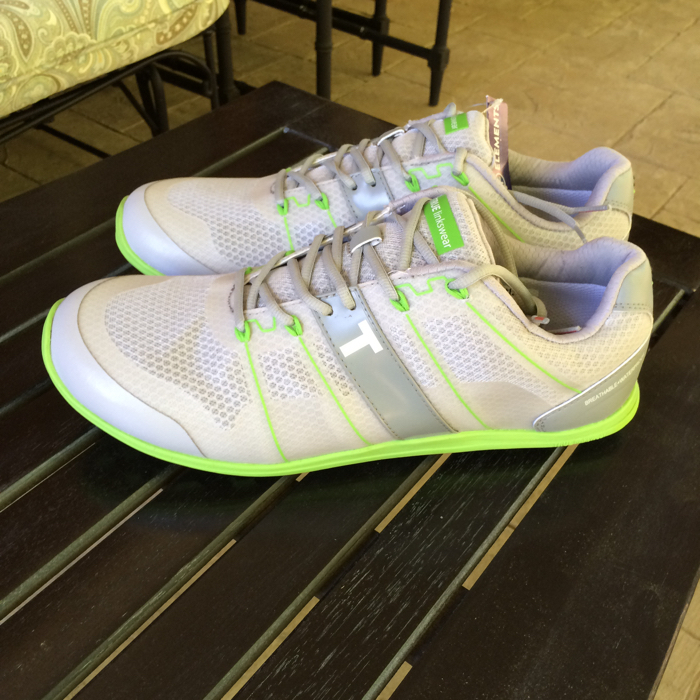 The new True Elements Hybrid doesn’t disappoint and continues the True Linkswear comfort legacy. The comfort was expected but the real deal is the introduction of a shoe that is “weather-ready” … ideal for heat, cold, rain, and wind (i.e., the elements). 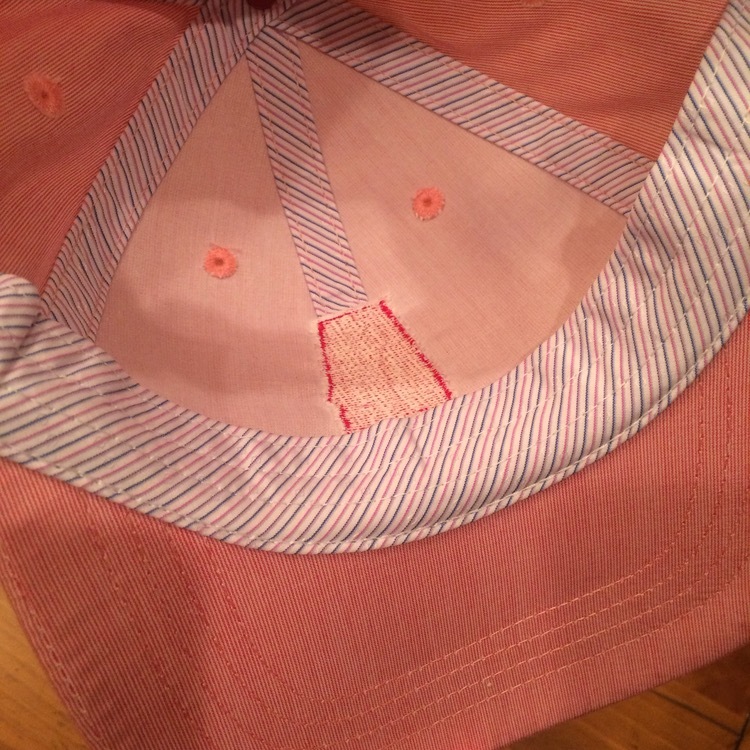 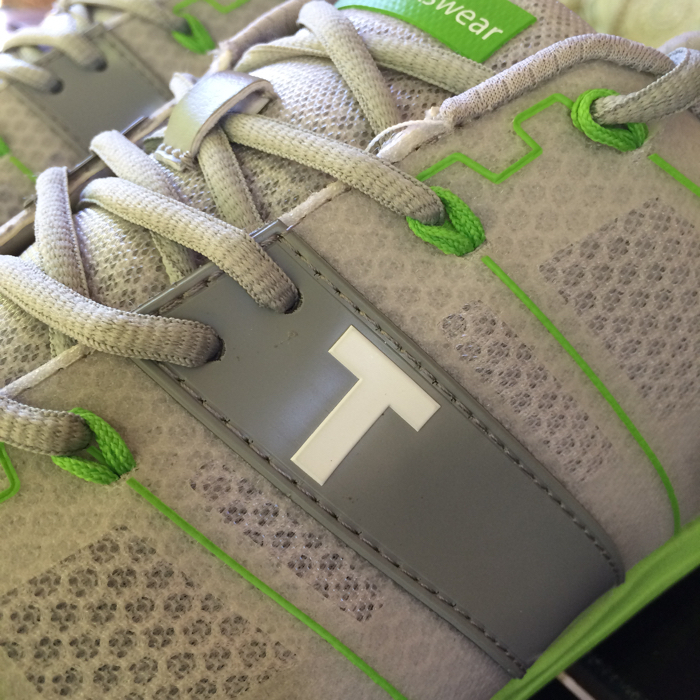 True Linkswear accomplishes this by developing a shoe liner with a material featuring Outlast technology. 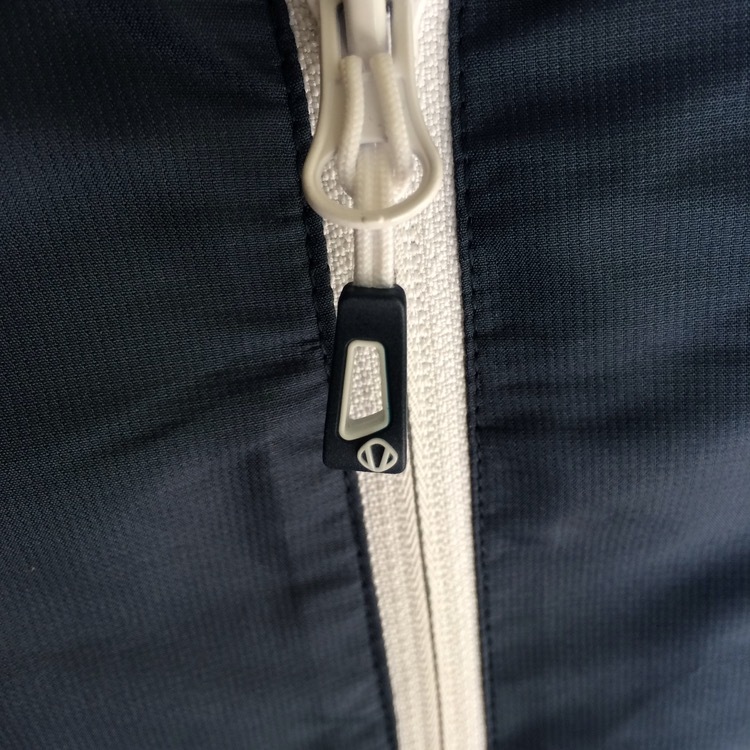 Outlast technology is a material that was originally designed for NASA to protect astronauts from temperature fluctuations in space. 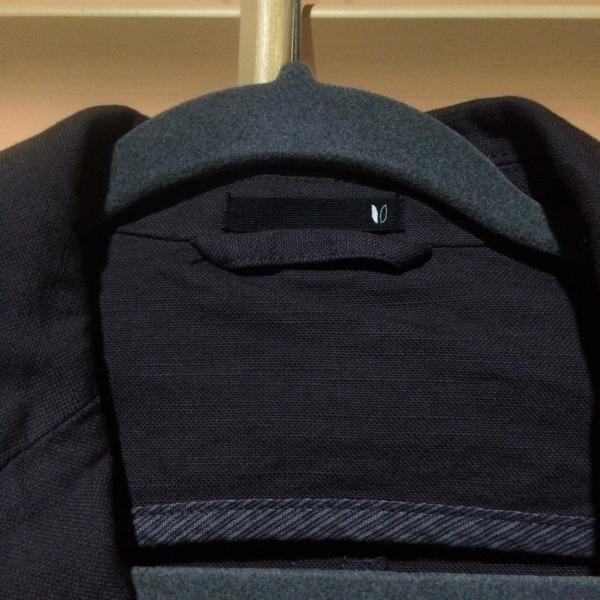 The material absorbs, stores and releases heat for optimal thermal comfort. 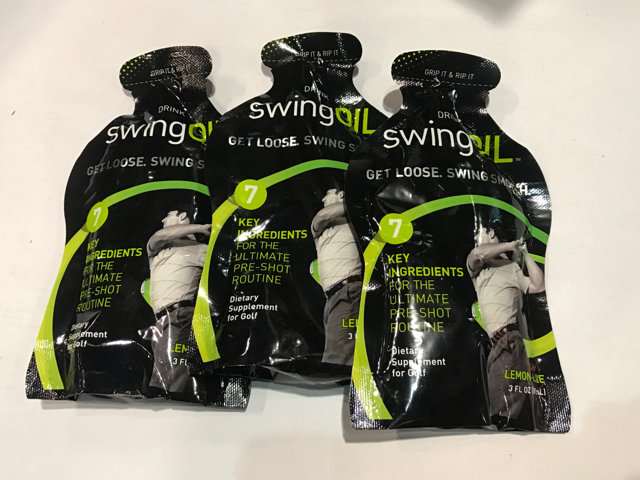 This is different than moisture wicking material which manages moisture by reacting to your sweat and pulling it away from the skin. Instead, Outlast technology will proactively manage heat while controlling the production of moisture before it begins. 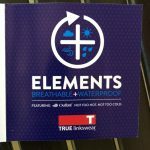 Simply put, the True Elements Hybrid cools when it’s hot and heats when its cold and has undergone waterproof testing that is four times the industry standard. 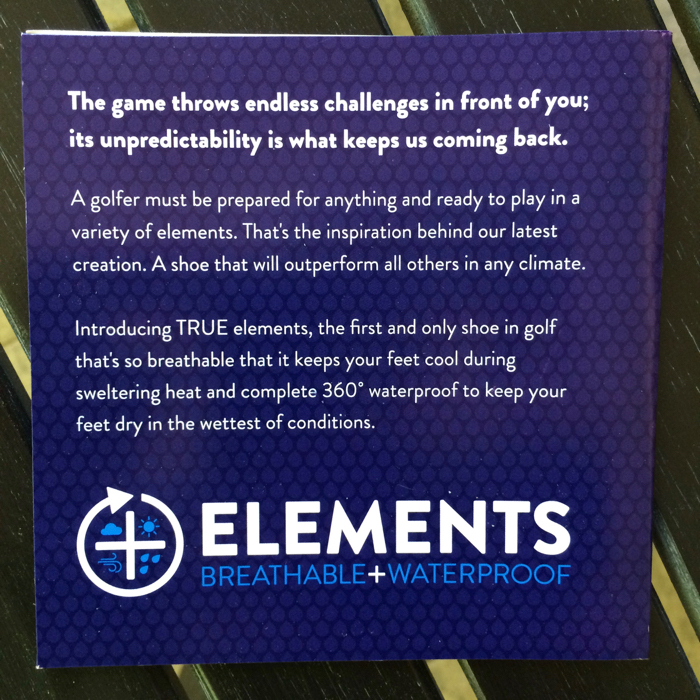 The True Elements Hybrid also feature a double layered mesh upper, airflow cushioning, and insert to ensure comfort in the warmest of conditions. 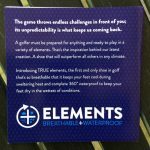 First time out with the True Elements Hybrid we walked 18 and experienced zero issues. 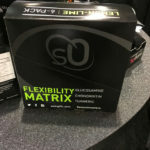 This is the most flexible True Linkswear shoe they’ve ever made. 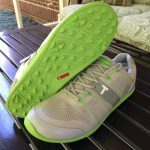 The comfort is so good you feel like jogging around the course and then the thought crosses your mind about wearing them to work. Absolutely second to none. 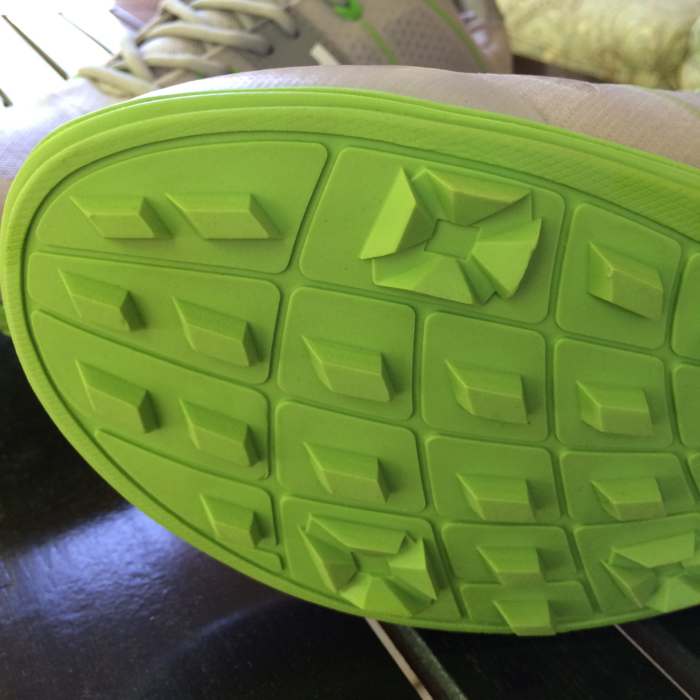 The sole of the shoe has a little larger nubs on them as compared to the True Motions providing greater stability and cushion. 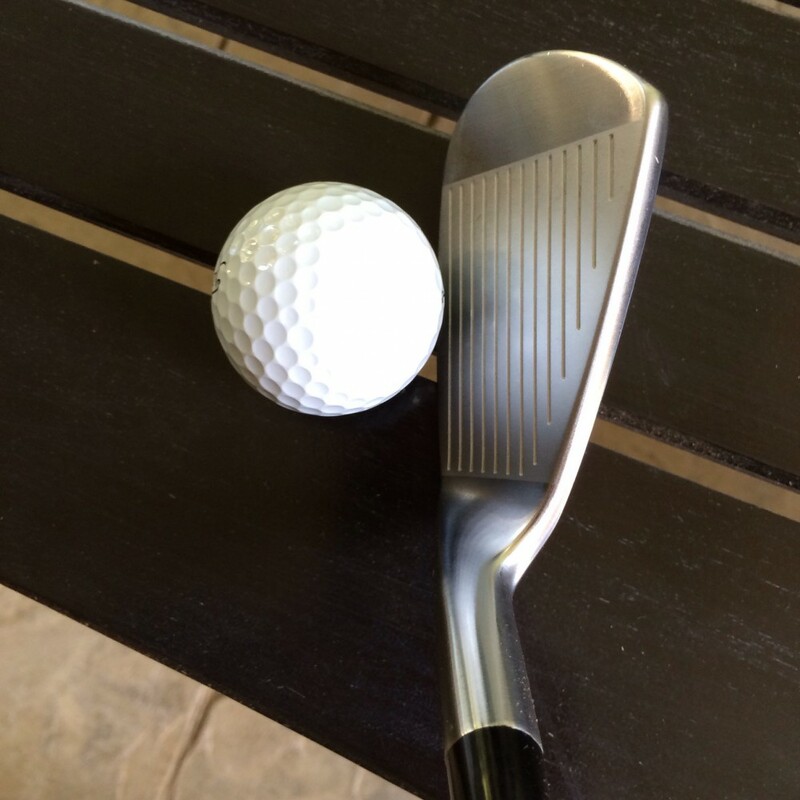 Throughout the swing, from driver to wedge, our feet stayed firmly planted to the ground. 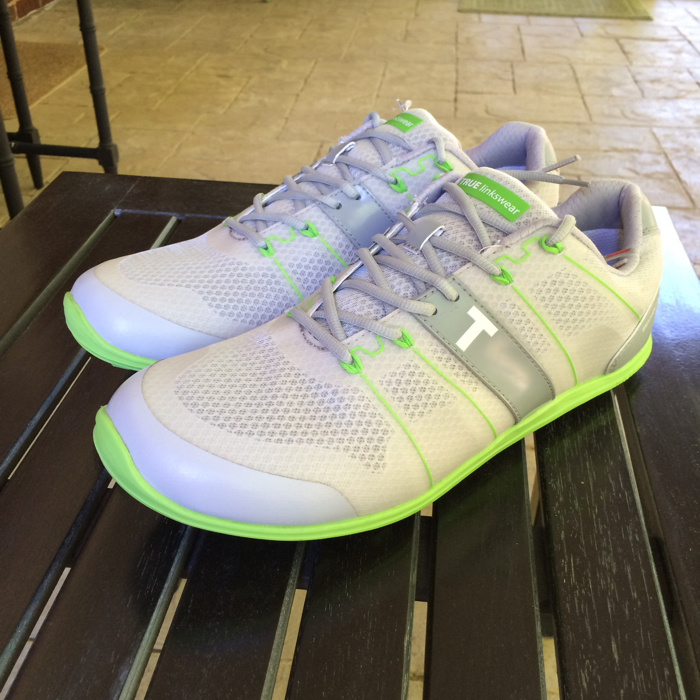 The shoe offers plenty of room width wise but not boxy – the ideal fit. We have also found their customer service to be second to none. 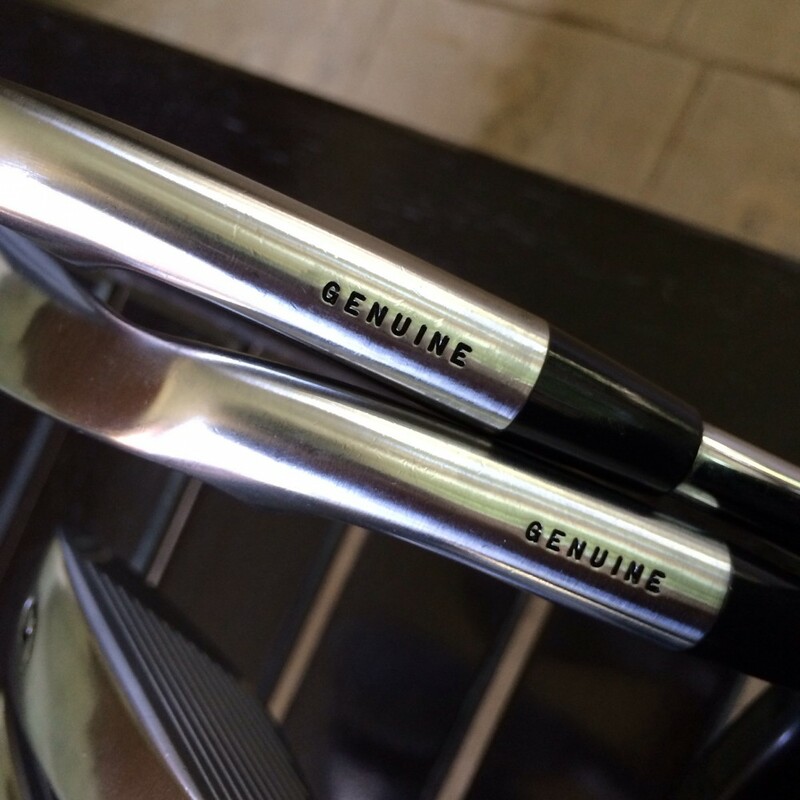 Last year we had a couple of issues with two of their 2015 models and contacted the company. 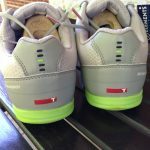 The same day we emailed them we received a response and within a week, a replacement pair of shoes arrived at our office. 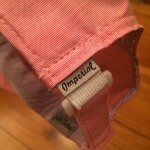 This is the right way to treat customers and it doesn’t go unnoticed. 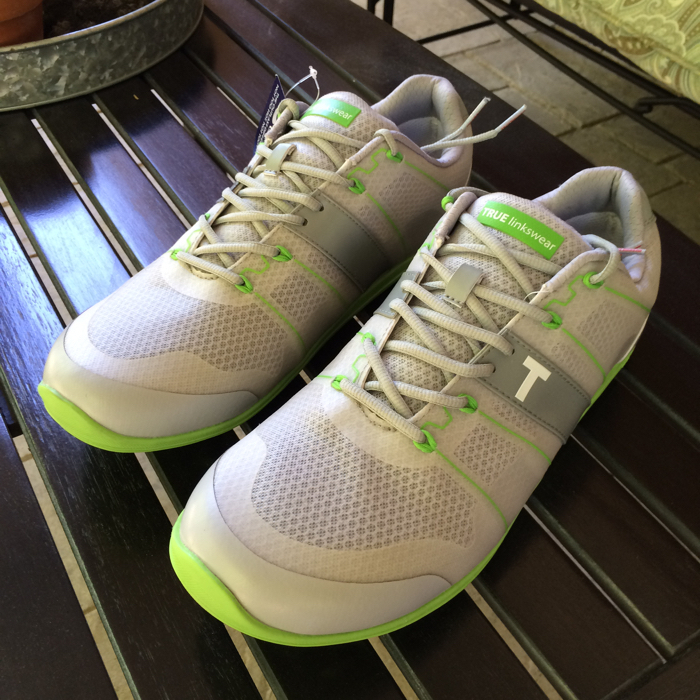 The True Elements Hybrid is the new #PersonalFavorite around this office. The True Elements Hybrid is currently priced at $99.99 and available in color combinations of black/black, grey/lime, and white/grey. Learn more at True Linkswear. 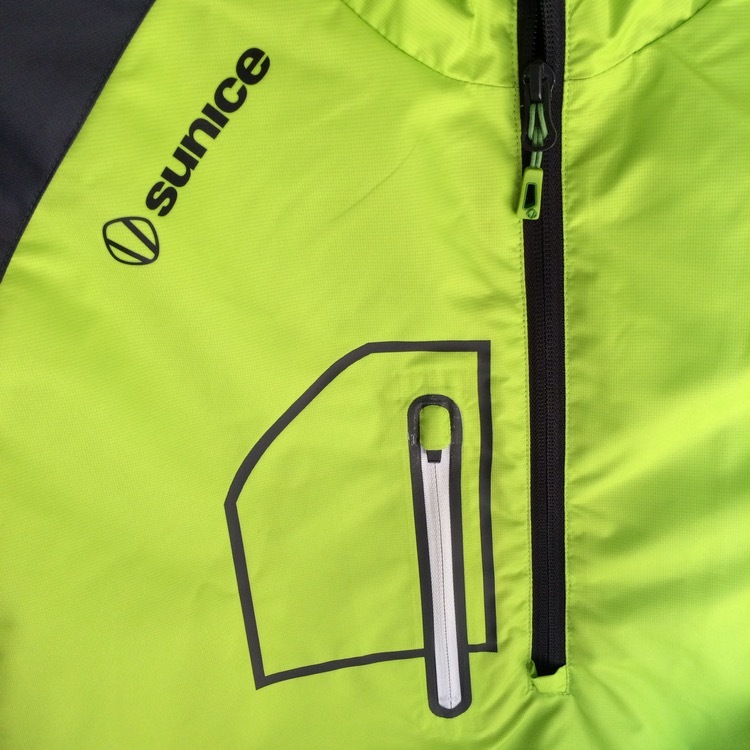 The Men’s Sport Layers Collection from Sunice features neon greens, vibrant blues and rich yellows trimmed with color staples of pure white, grey and blacks adding a dash of color to their highly techical apparel. 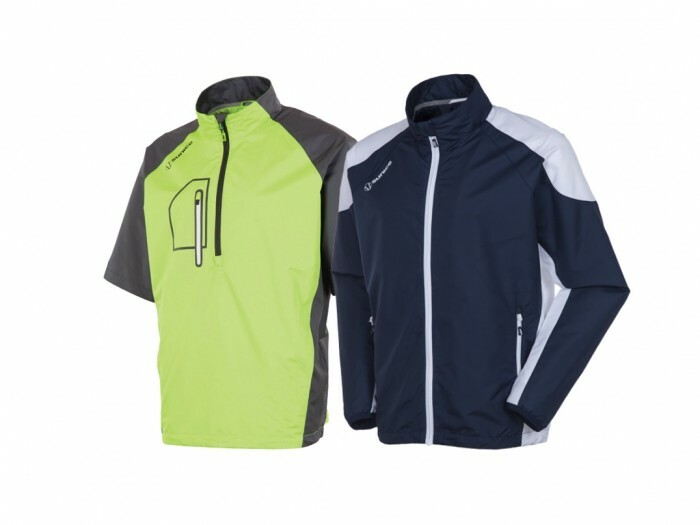 Featured below are two pieces from the collection – the short-sleeved Webster windshirt pullover in Citron/Charcoal and the long-sleeved full zip water repellent Rockford jacket in Midnight/White. 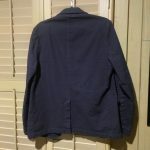 We really liked the quite soft feel of these jackets as well as the adjustable waist cords that allow a customized fit. 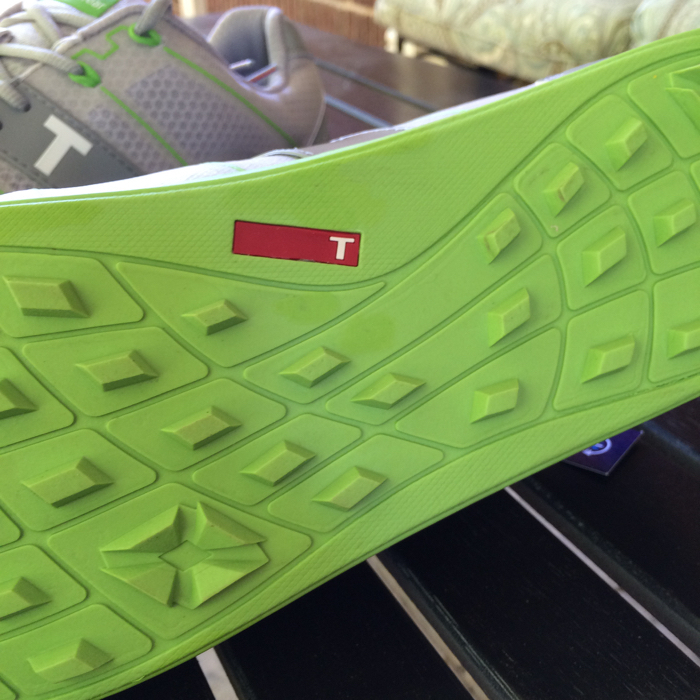 They are both functional and stylish. 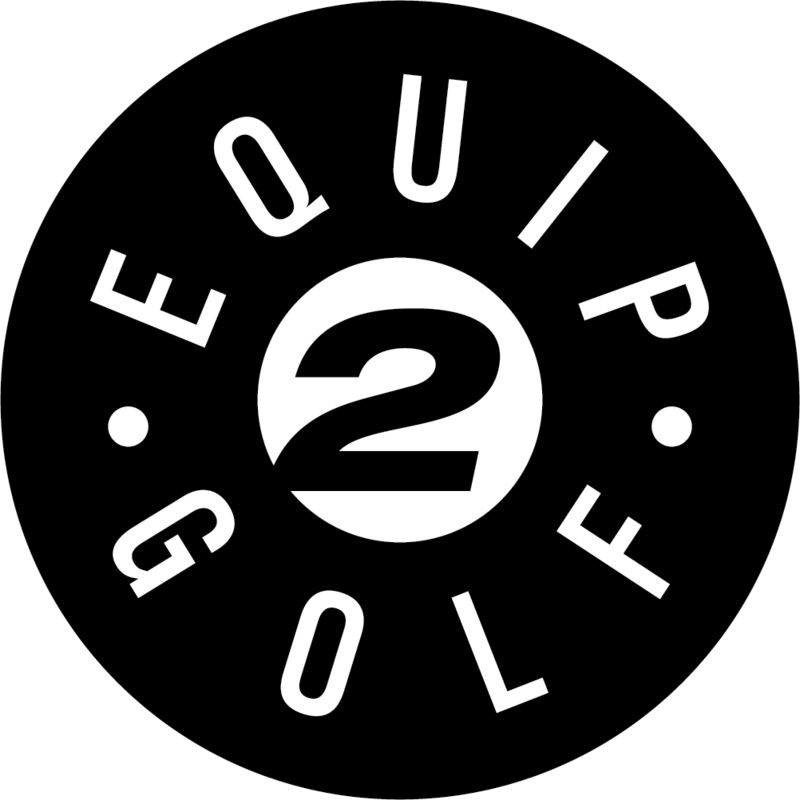 The lightweight material and fit provides a non-restrictive feel that combined with a wide range of modern colors result in apparel that will appeal to a wide range of golfers. 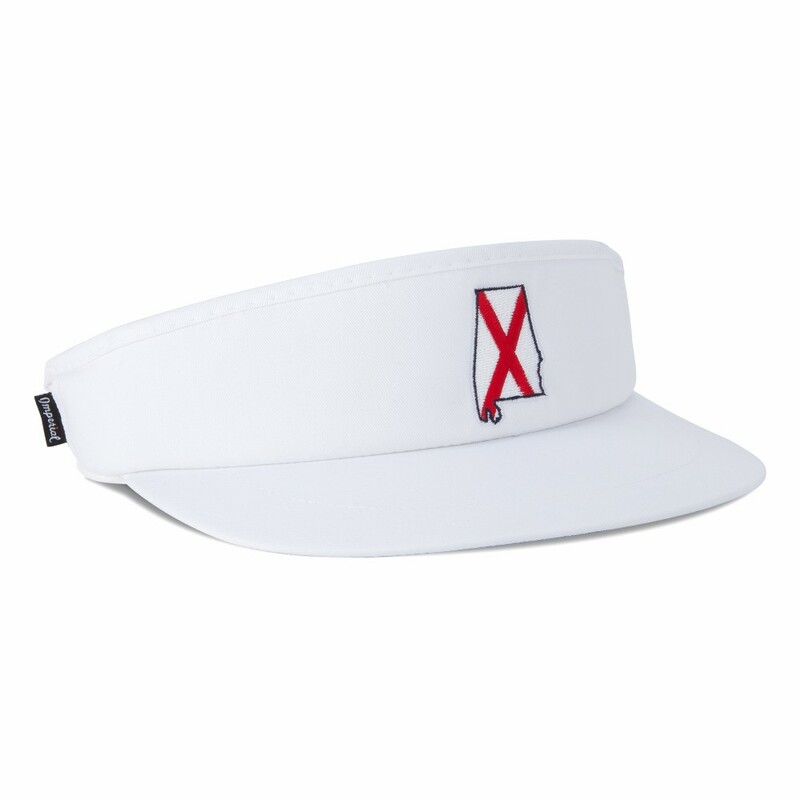 The appareal features a techical material known as X20-CT – a highly breathable, water repellant, and moisture wicking material that feels soft. 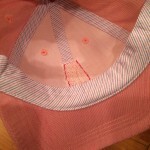 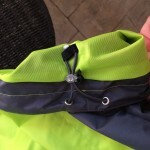 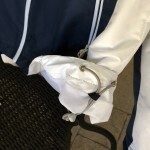 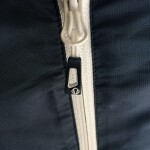 Additional features inlcude the patented V-collar, laser cut design with waterproff zipper, and lock down zipper pull. These peices are perfect for wind and light rain. 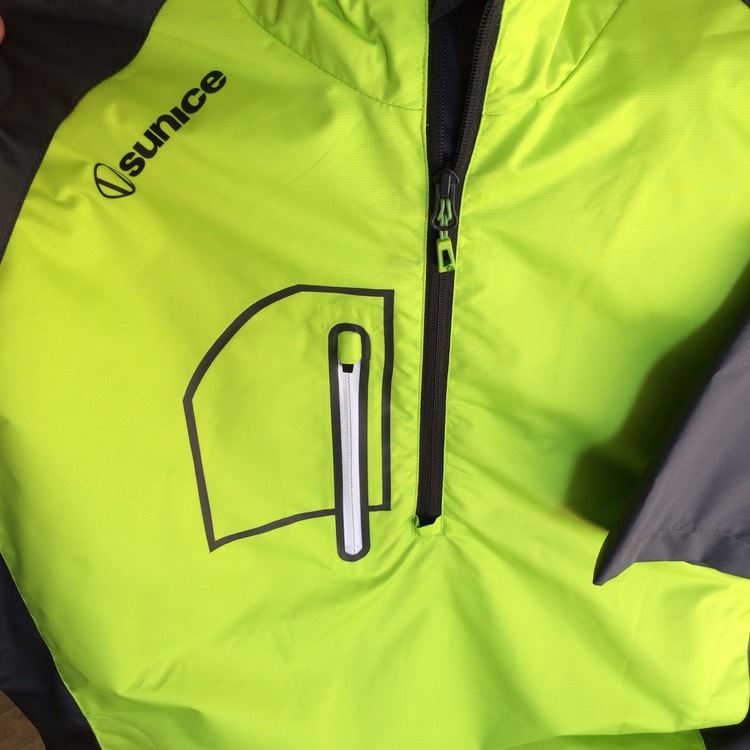 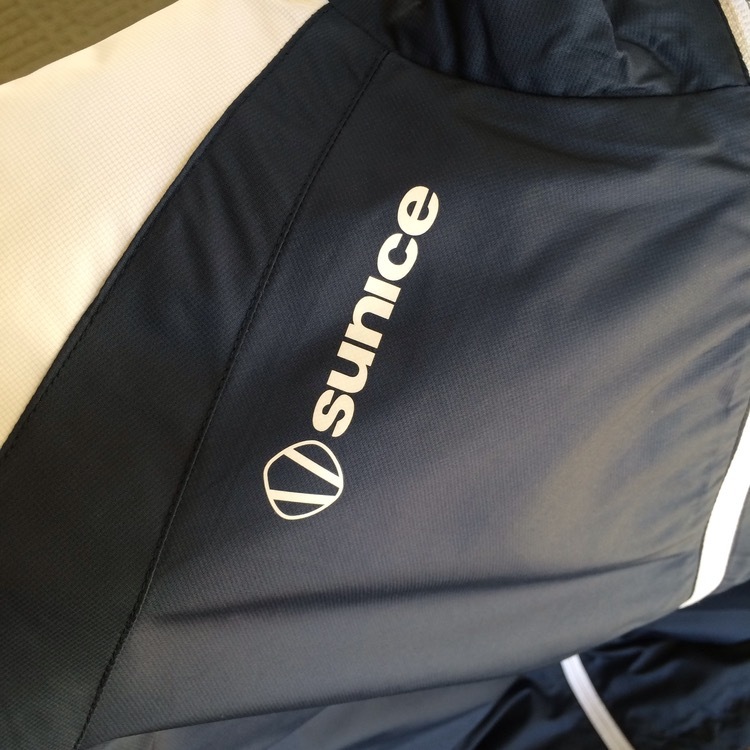 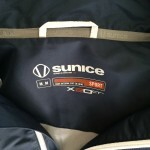 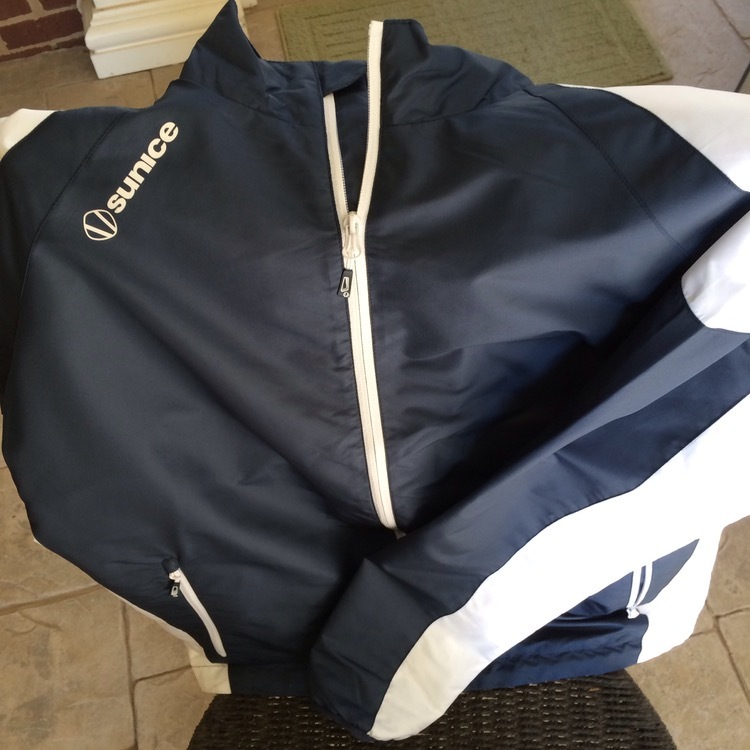 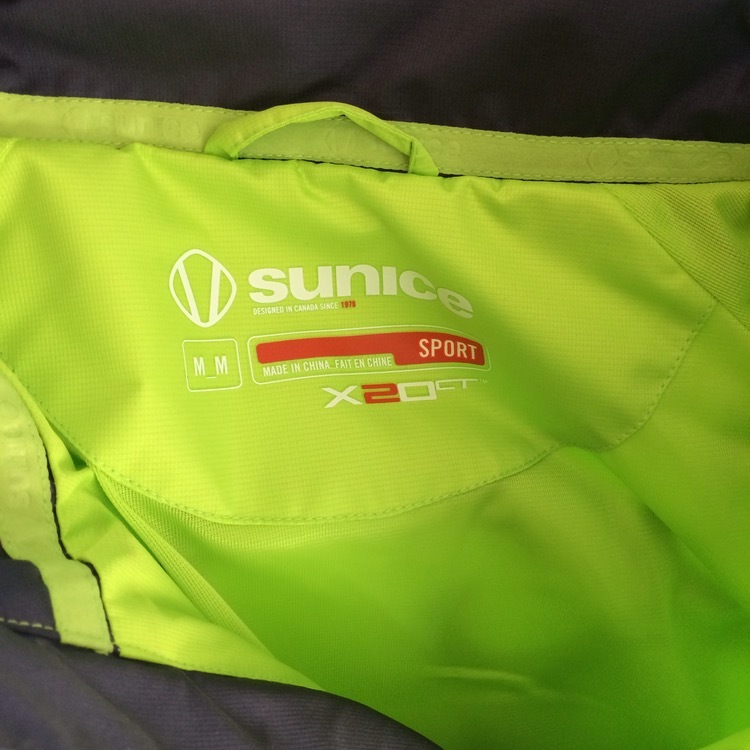 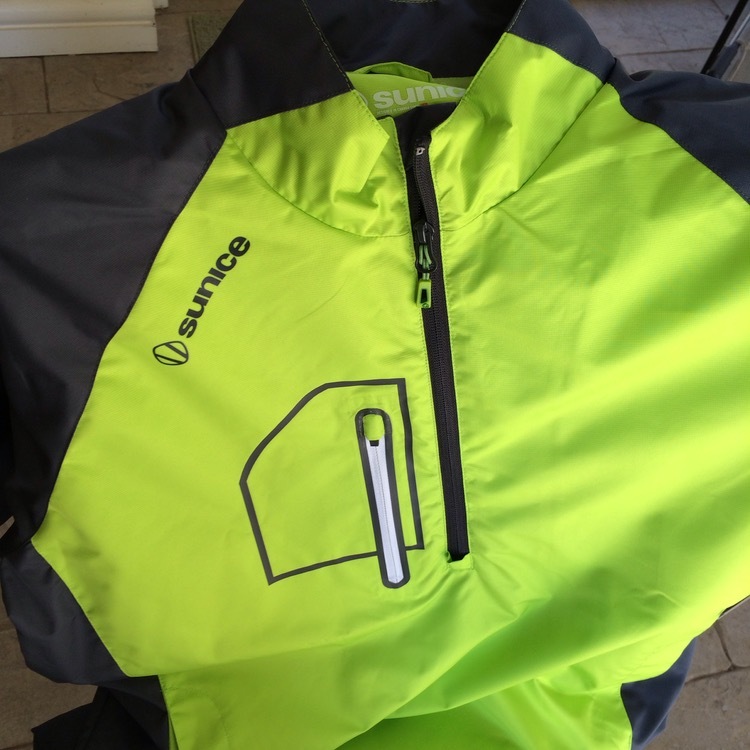 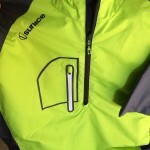 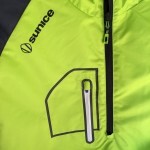 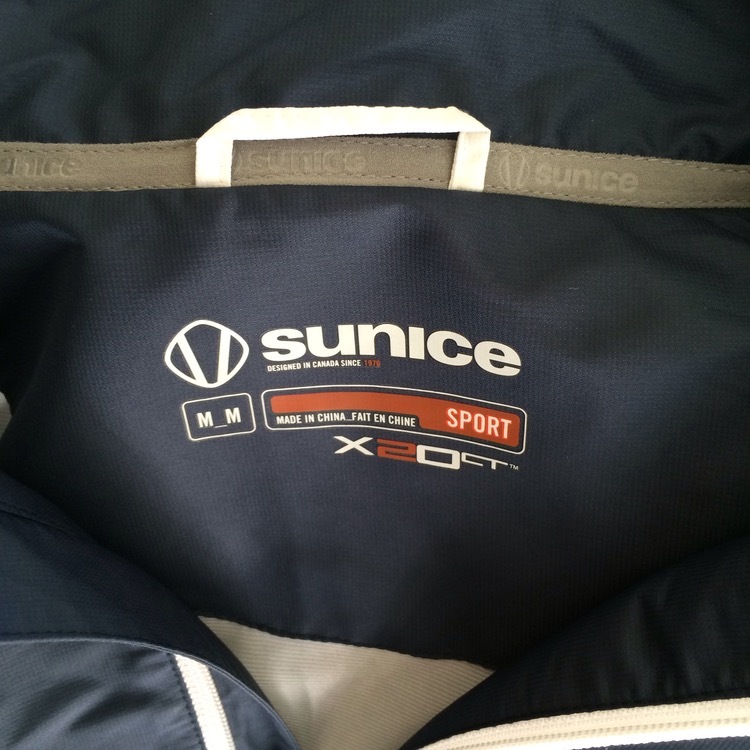 We highly recommend the entire line of Sunice apparel. Learn more about the Sports Layers Collection at Sunice.com. 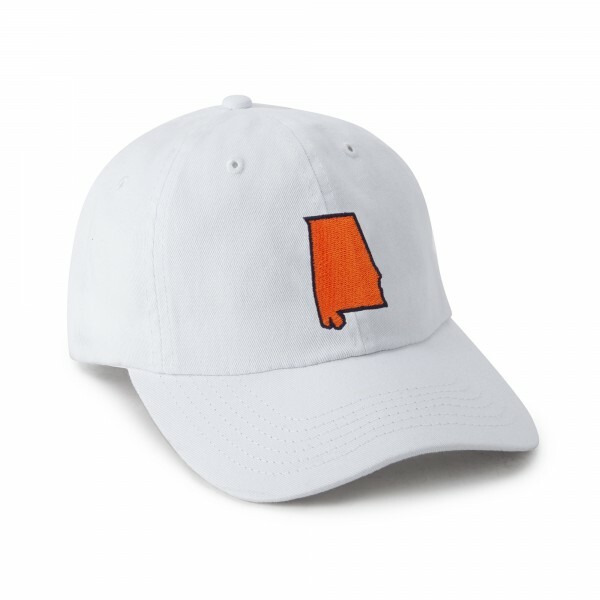 Game Day in the fall around the country means the activities of the day are centered around when your favorite college football team plays. 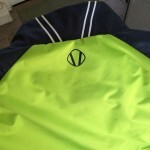 Jerseys, polos, and t-shirts with your favorite’s team logo and colors are common. 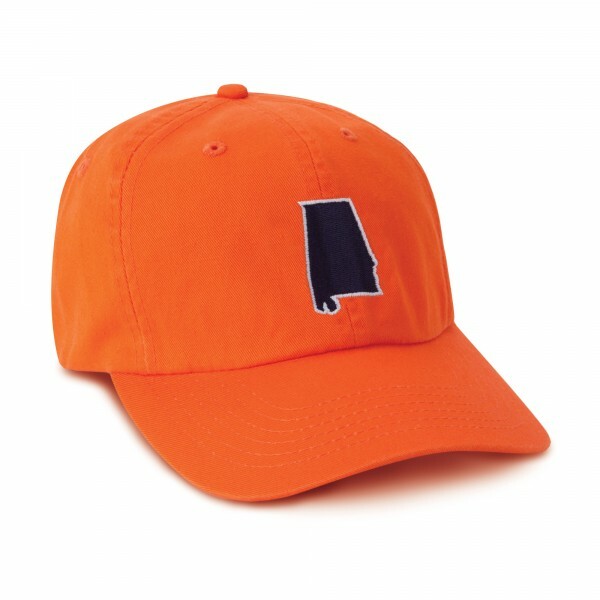 The new Tailgate Collection from Imperial Sports features state designed hats with creative style names. 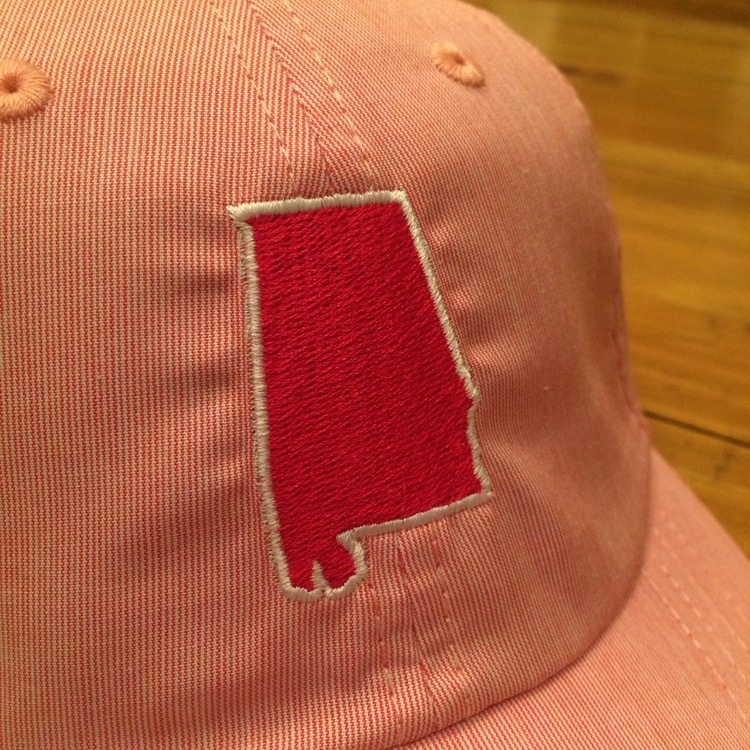 The states included in the collection are: Alabama, California, Florida, Georgia, Kentucky, Louisiana, Mississippi, Missouri, North Carolina, Ohio, Oklahoma, South Carolina, Tennessee, Texas and Virginia. 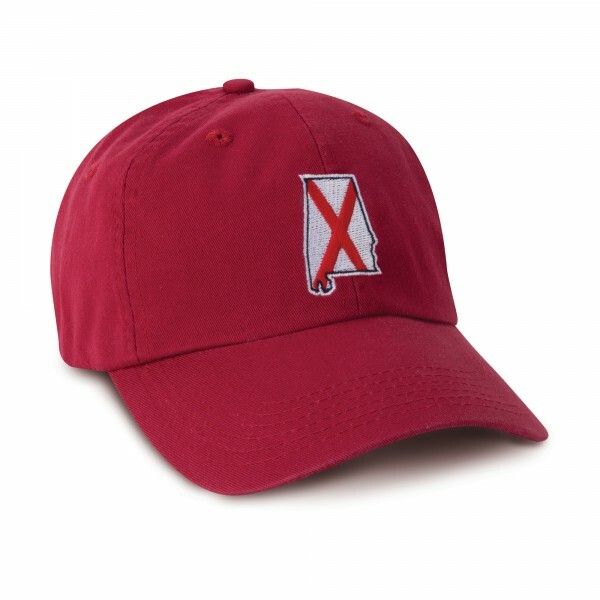 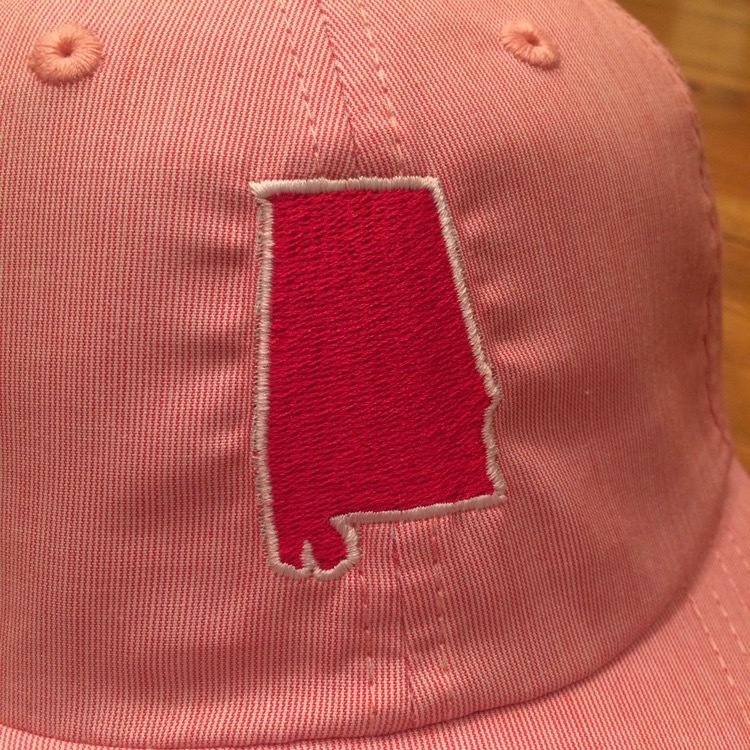 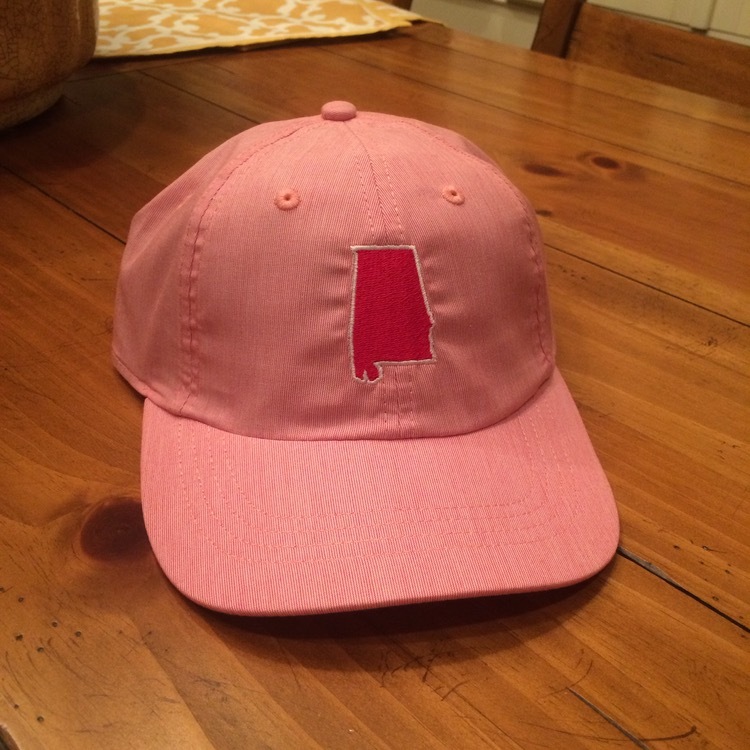 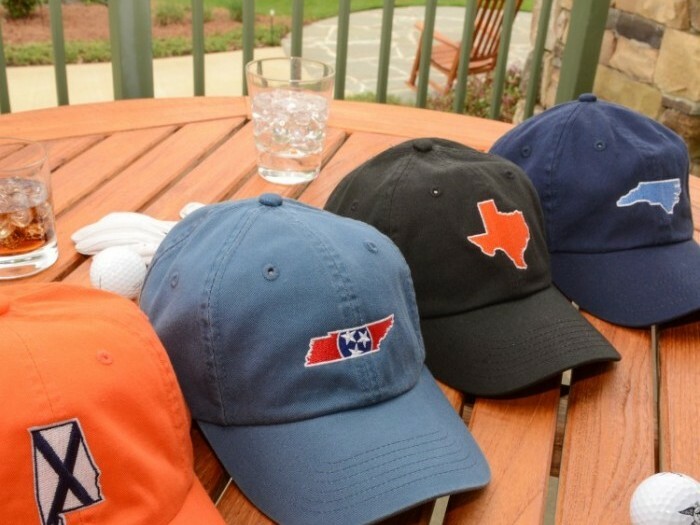 Each hat features the state outline with a defining characteristic of each state. 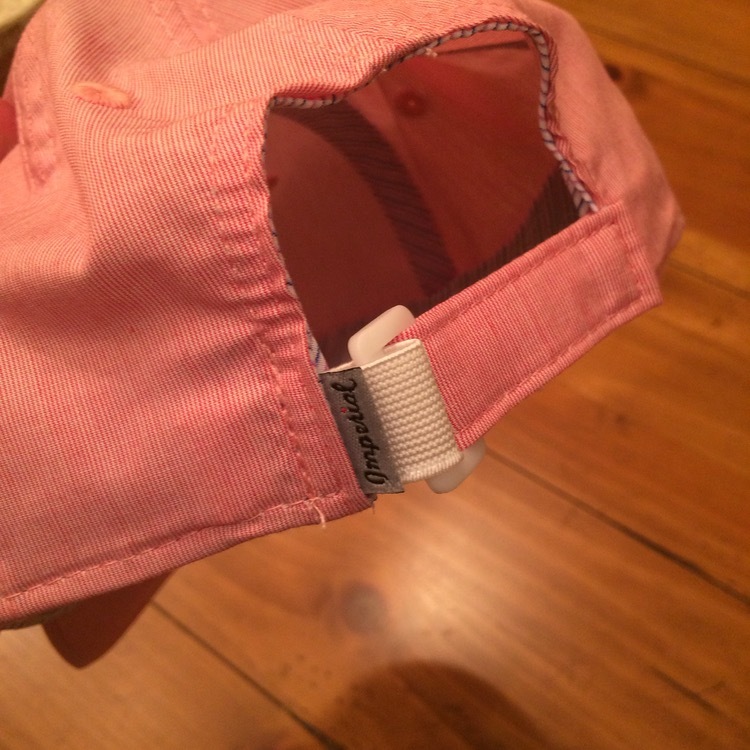 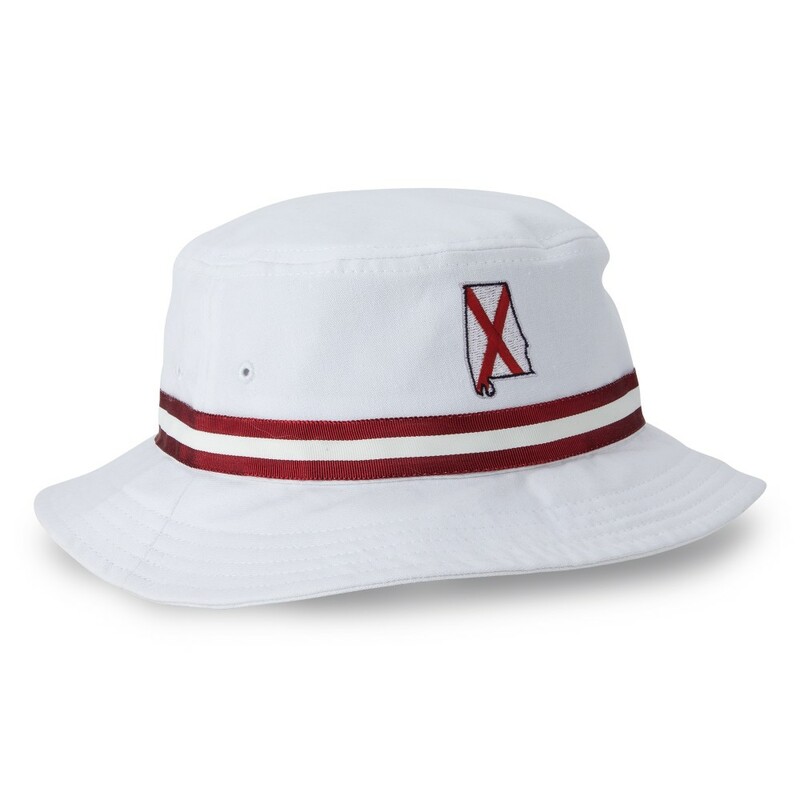 The Tailgate Collection styles include preppy cotton hats, as well as Imperial’s signature Tour Visors and Oxford Bucket hats. 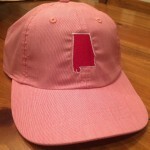 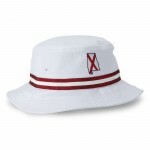 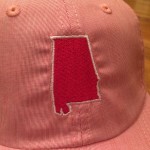 Our personal favorites from the collection are from the state of Alabama where we “Roll Tide” or “War Eagle”. 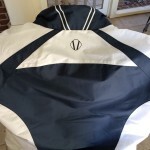 Featured in this gallery is The Birmingham Prep. 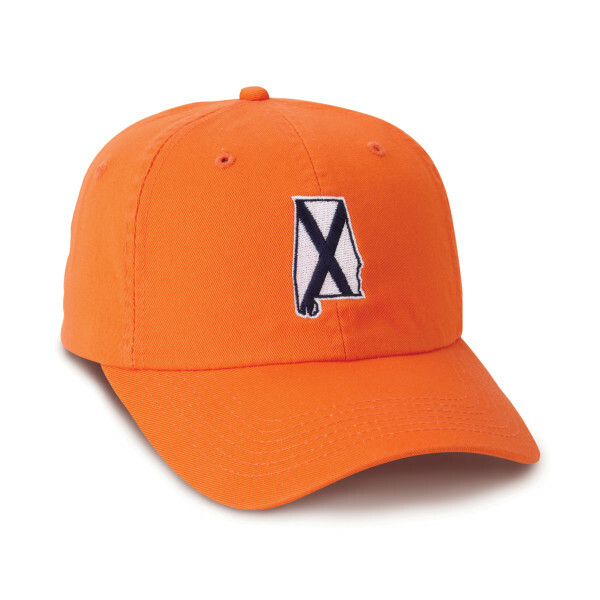 Lightweight, stylish, and perfect for on or off the course to represent your team. 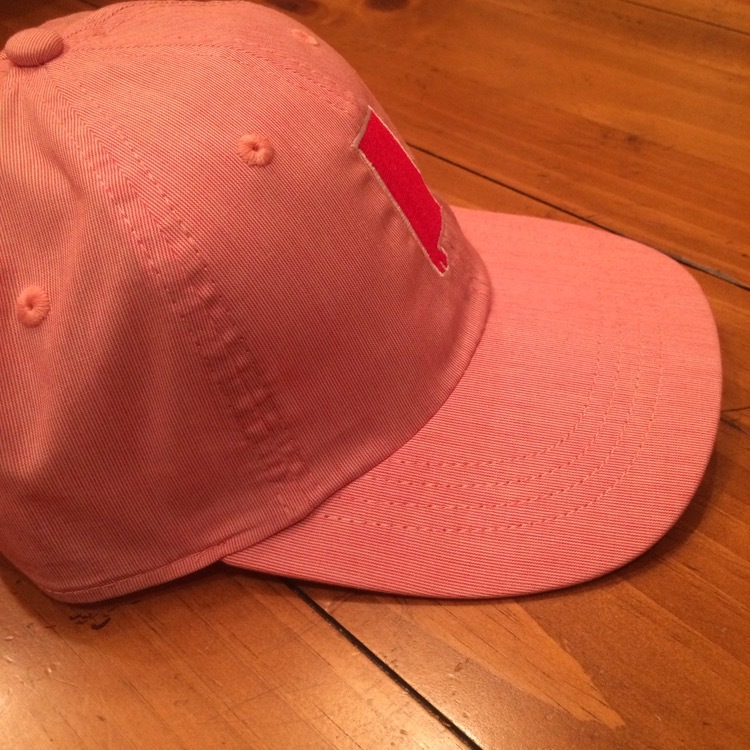 Pricing is $30 for each piece in the collection. 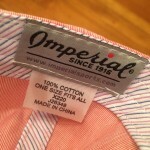 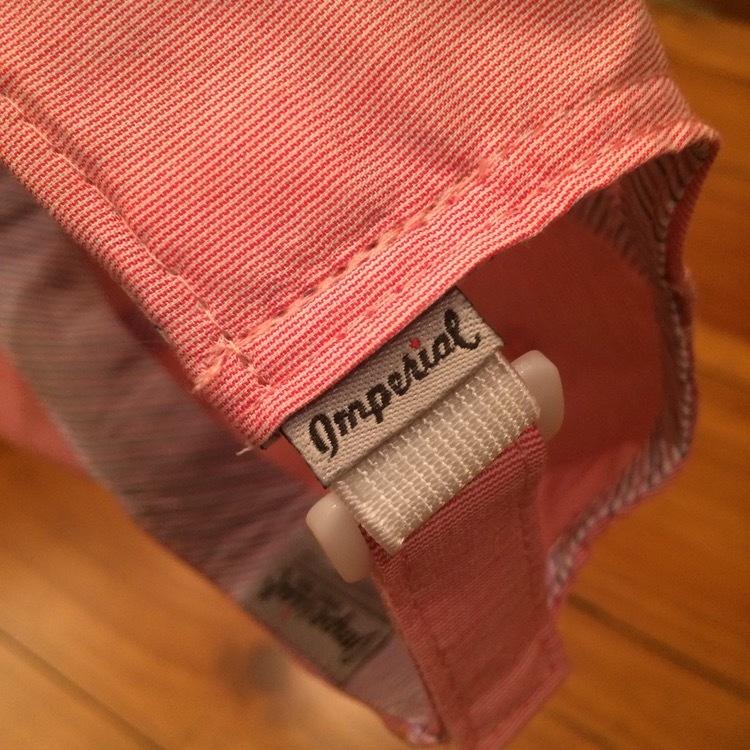 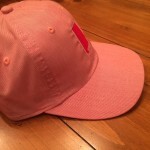 Learn more about the Imperial Headwear Tailgate Collection at ImperialSports.com. We have owned several sets of Miura irons over the years and from day one have been fascinated with the mystique and aura surrounding the company and have always been impressed with the legendary feel of their forged irons. 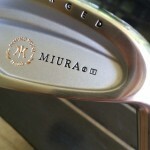 Our connection with Miura goes back several years first meeting Vice President Bill Holowaty over 10 years ago. 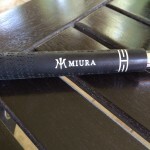 Bill provided us the privilege of interviewing Mr. Katsuhiro Miura back in 2005 and we quickly realized the passion behind the brand and the genuine desire to create golf clubs that allow golfers to experience the best the game has to offer. Miura is to be commended over the past several years for rounding out their product offerings for every type of golfer and doing so on their own timeline – introducing a new product only when it was ready and the time is right. In 2011, Miura introduced the Passing Point (PP) 9003 irons targeted toward golfers that require additional forgiveness but still desire the soft forged feel that all of the Miura irons deliver. 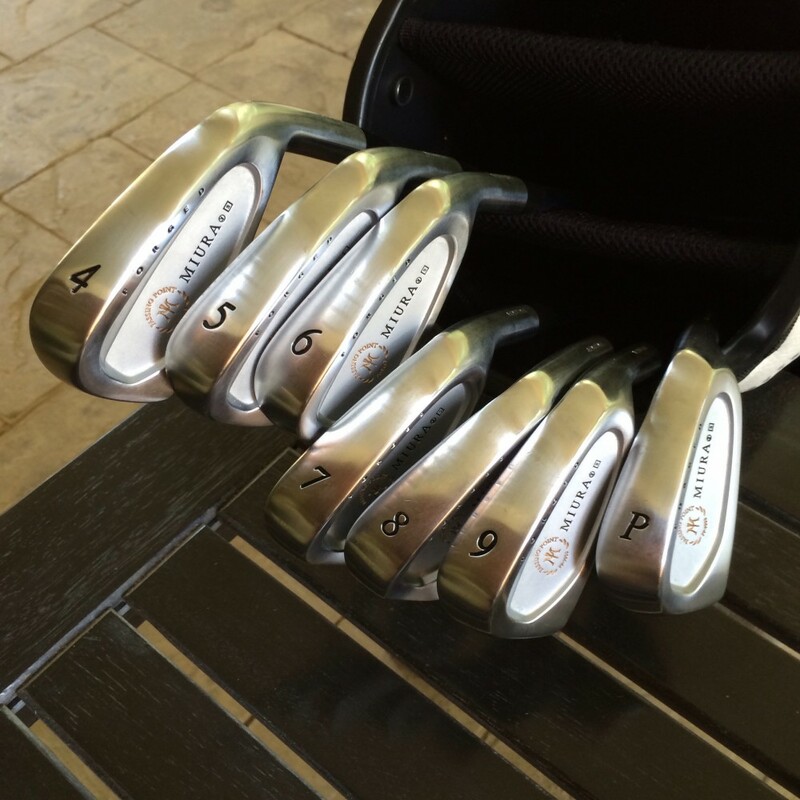 We liked several of the design features of the PP-9003 irons including the wider sole for better turf interaction and the slightly larger clubhead with perimeter weighting for increased forgiveness and confidence. 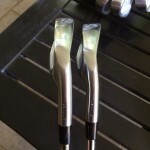 The offset on the original PP-9003 irons were more than we personally cared for but they definitely served a segment of the market that would benefit from that amount of offset. 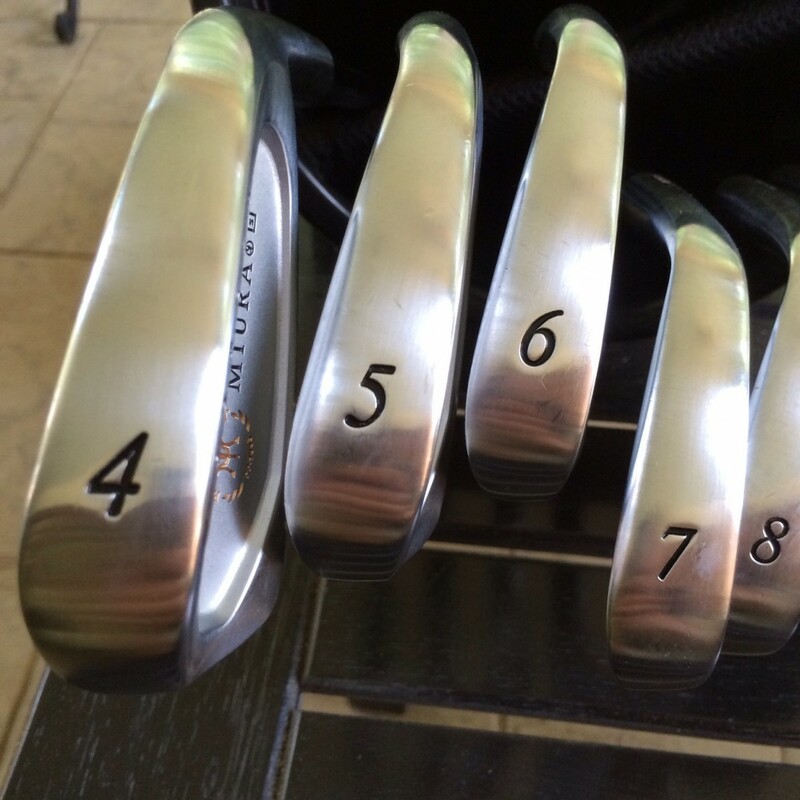 However, they were easy to hit and produced consistent results. 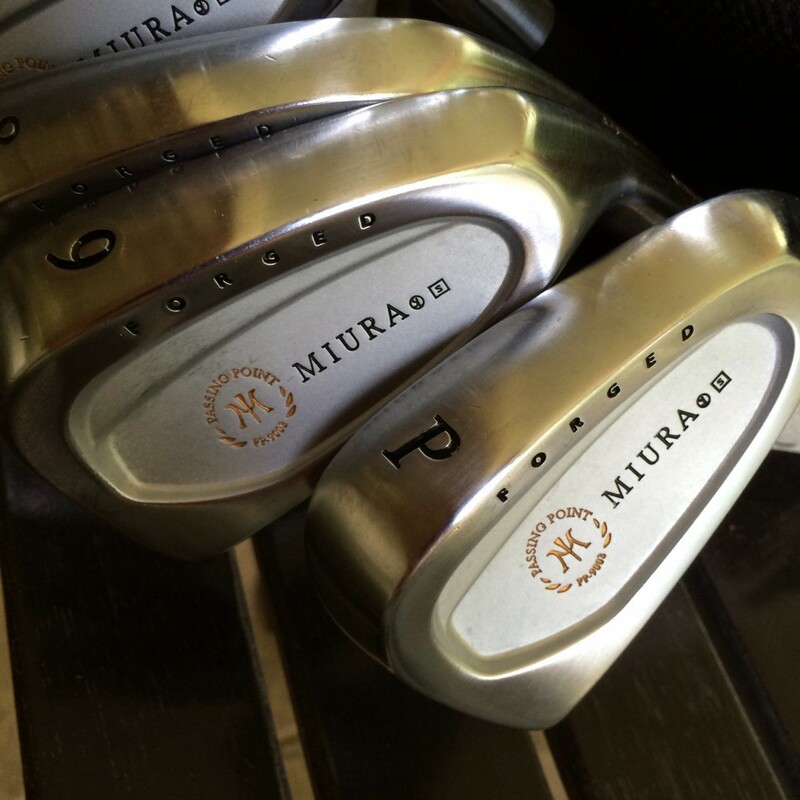 We were excited when Miura followed these up with the PP-9003 Straight Neck (SN) model. The less offset version was introduced with little fanfare but made some noise in the media when professional Ryan Moore played them on the PGA Tour for a better part of a year while playing some of his best golf. 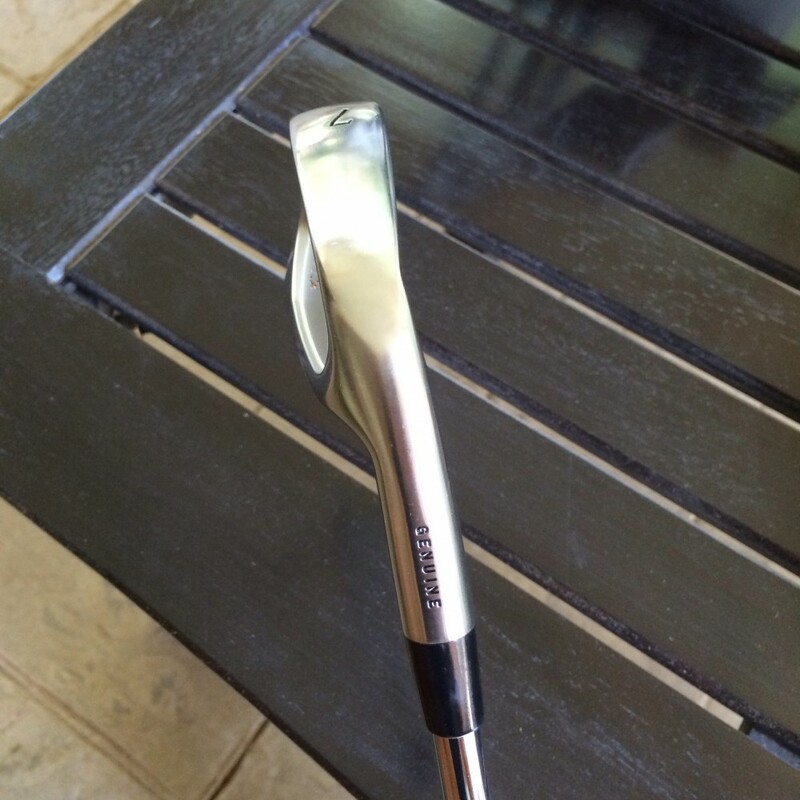 When the PP-9003 SN irons arrived we were first struck by the clean lines throughout the head, especially where the hosel meets the clubhead. The flow from the hosel into the topline of the clubhead is a smooth subtle transition producing a classic look at address. We feel this is one of Miura’s most underrated irons they produce. 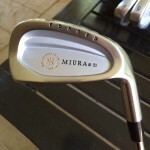 The feel is incredible and is often hard to describe to those that have never played a Miura iron. A well struck shot produces a nice sounding click off the face that feels effortless. 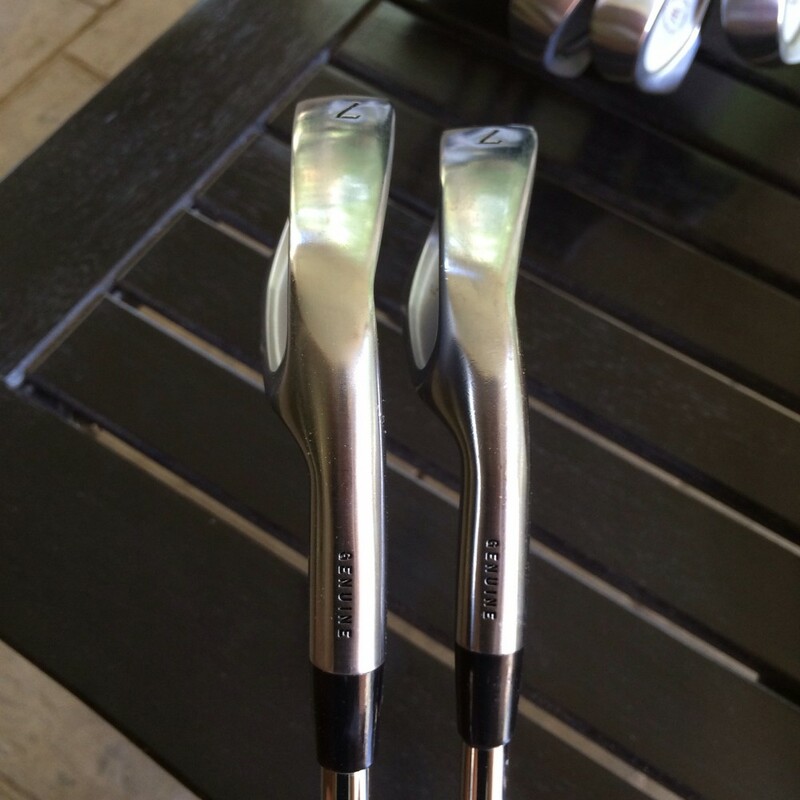 We experienced no issues in adjusting to the irons as we were able to get the PP-9003 SN irons dialed in quickly. 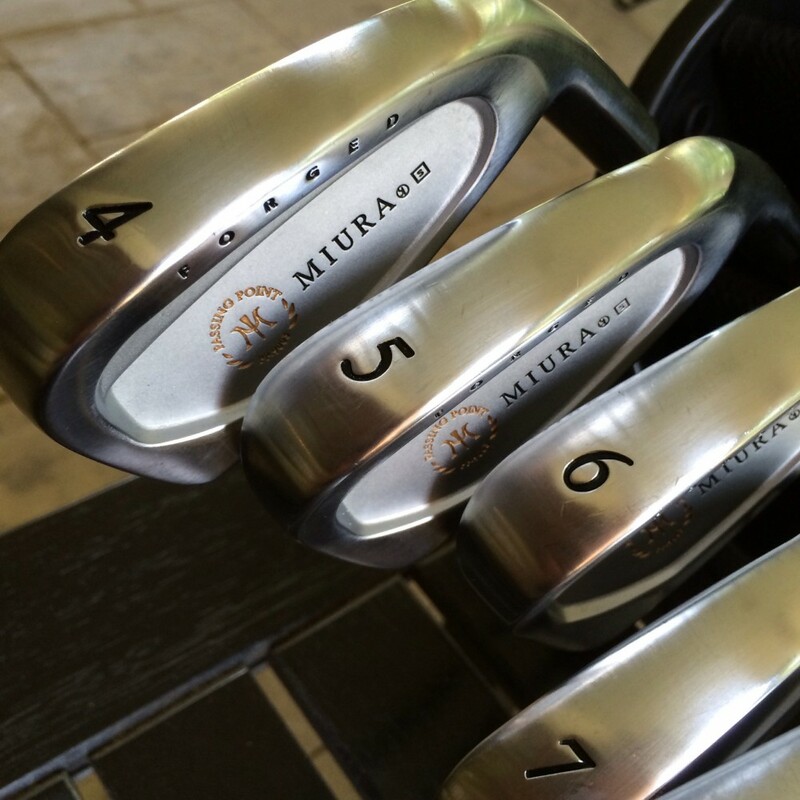 The lofts are the strongest of any of the Miura irons and this resulted in increased distance of up to a 1/2 club throughout the set. 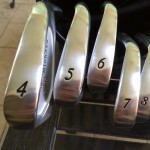 The adjustment was easy though and the clubs produced consistent results with good swings. 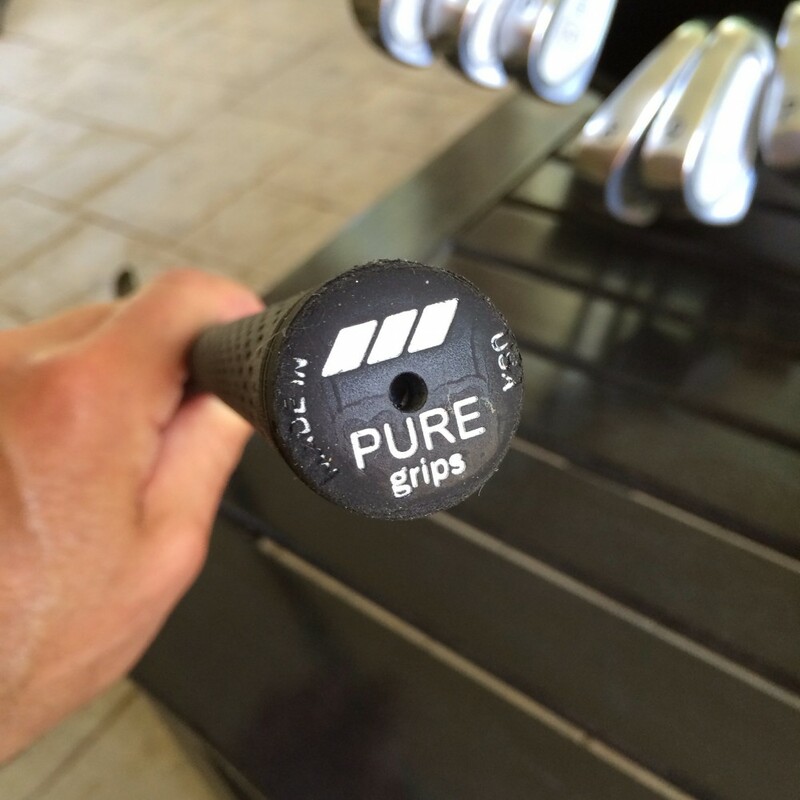 We chose Pure Grips for these irons and were very impressed with their grip and durability in a wide range of playing conditions. 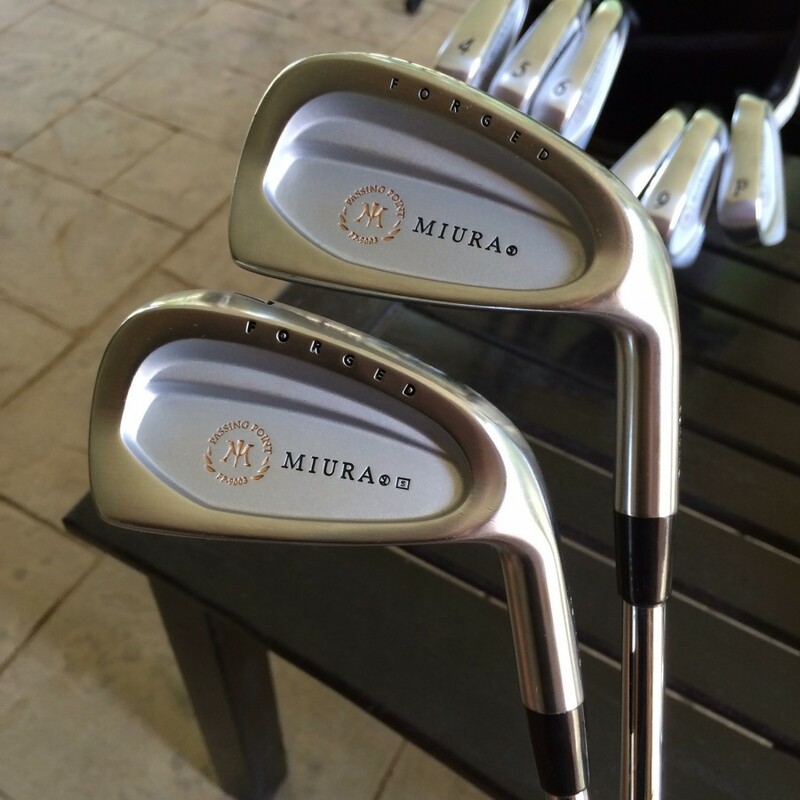 The Miura PP-9003 SN irons are currently available through Miura’s authorized dealers for $2,000.00 for 3-PW or $250.00 per iron. 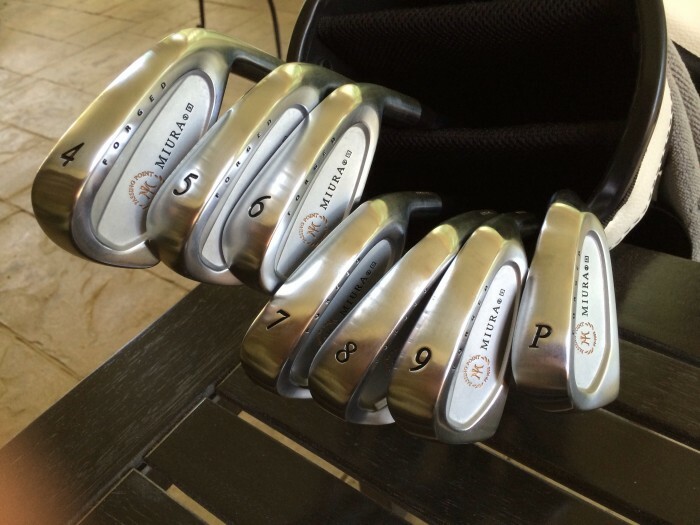 While these are on the more expensive end of irons available today, we believe you will not be disappointed in the benefits gained by owning a set of Miura irons. 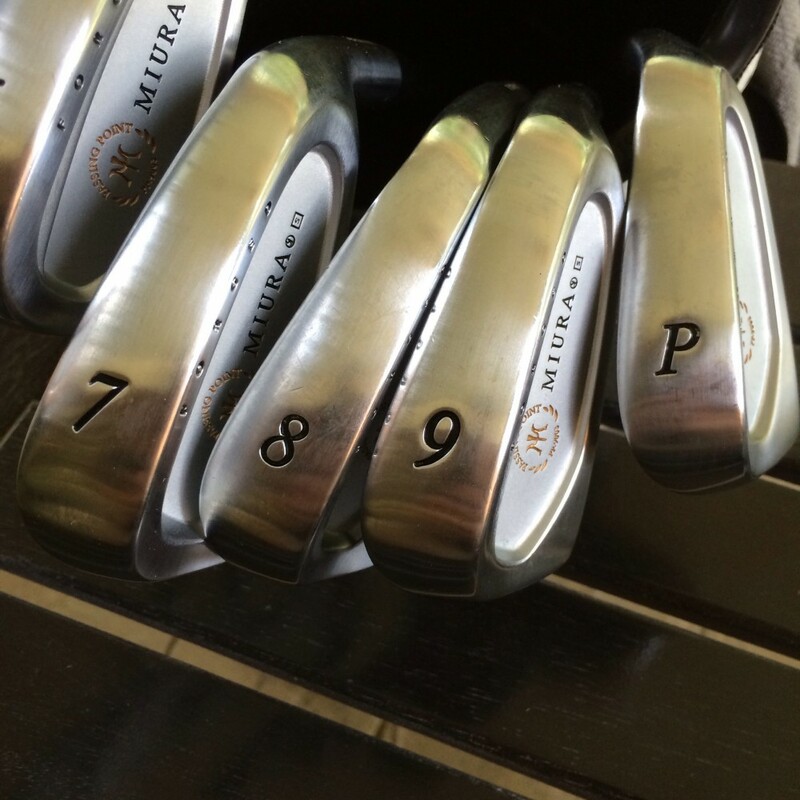 The Miura PP-9003 SN irons, with great distance, consistent accuracy, and soft forged feel might be the perfect set of irons for a low to mid handicap golfer that doesn’t get to practice as often as they would like and prefers an iron with minimal offset yet one that is very playable. Learn more about the PP-9003 SN irons and Miura’s complete line of product offerings at MiuraGolf.com. 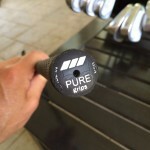 Learn more about Pure Grips at PureGrips.com.